When event rider Britt Sabbah teamed up with Saint Louie, a 14.1½-hand Welsh cross Paint gelding, she just wanted to have fun. And she did, because there’s nothing like riding and competing an athletic, scopey, cute pony whose buckskin coloring makes him even more noticeable. Adding to their story is the fact that Britt’s an adult amateur who, after a hiatus of about eight years, returned to horses more enthusiastic than ever in 2013, thanks to Louie. From the moment she met the pony, Britt chronicled everything — schooling, hanging out, competing — with photos on Instagram where her followers, so far, number more than 30,000 plus. In the US Eventing Association’s 2016 year-end standings, they finished third in Training Amateur and earned the Area VI Training Amateur championship and Training Adult Rider reserve championship. Great results, but it was actually the strong Instagram presence that made Britt an ideal choice to be a US Equestrian Ambassador for the Joy of Horse Sports campaign. 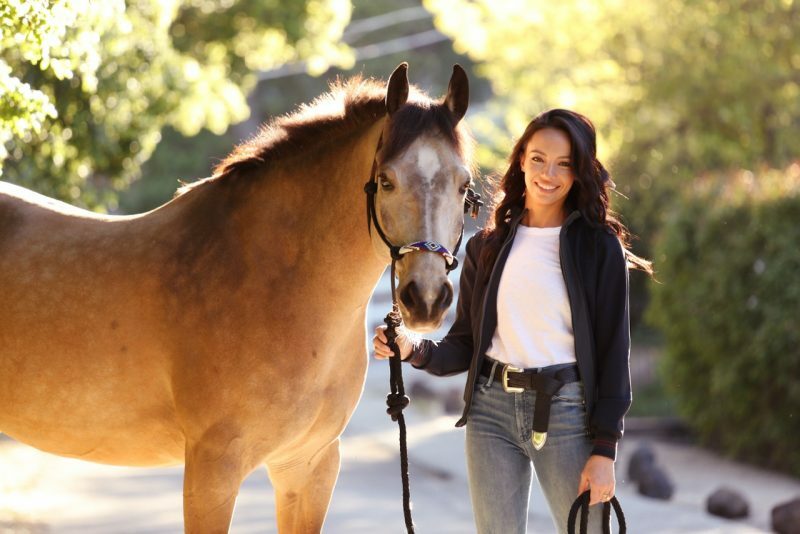 Britt certainly is living her dream in the hills northwest of Los Angeles, California, with her husband of five years, Sam Sabbah, her super-pony and two miniature horses, Lilly and Diva. 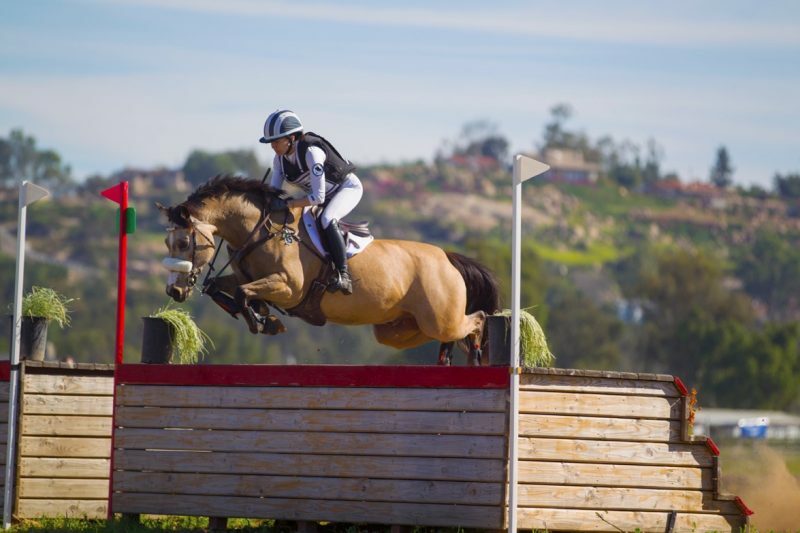 In February, Britt and Louie made their successful debut at Preliminary where the maximum height for cross-country and show jumping is 1.10m (3’7”). She totally embraces the Joy of Horse Sports, and she still just wants Louie and herself to have fun. After Britt bought Louie, they encountered some issues and setbacks, which had to be worked through. Yet, she never lost faith in his potential and felt it was well worth every effort to earn Louie’s trust and build their partnership. “I could see his athleticism and, above all, his heart, so I figured we would have fun and see where things take us,” said Britt. Britt and Louie competing in the Preliminary rider division at Copper Meadows in March in Ramona, California. They spent two full years at Training Level, winning and placing well at most of their events. 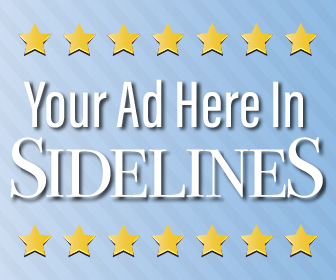 One highlight was finishing on their dressage score in the Training Level Long Format Three-Day at Rebecca Farm last July, placing fourth overall (first Amateur). They also earned nearly quadruple the minimum requirements necessary to move up to Preliminary. All told, it took a bit over three years to make their debut at Preliminary in February at Galway Downs, California. Britt was about 6 when she started riding in St. Louis, Missouri, where she grew up. 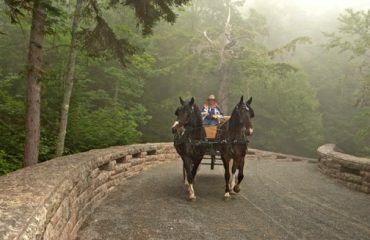 Back then, her family kept a couple Arabians at their farm in Marthasville, but today four miniatures keep horses in their lives. During Britt’s early formative years, her trainers all valued horsemanship over competitive results. The lessons and her passion survived eight horseless years while Britt earned a B.S. in mathematics at University of Missouri at Columbia and her Master’s in secondary education/teaching at University of Southern California. She was 27 in 2013 when her riding career re-launched on the West Coast with the purchase of Saint Louie. He was 5 and had completed several Beginner Novice events. In January 2014, Britt began training with four-star event rider Jennifer Wooten. 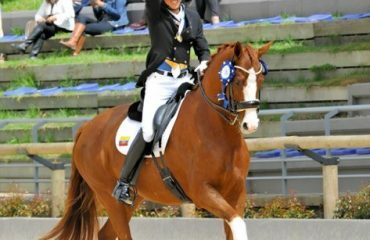 One synonym for “ambassador of sport” is champion, which is also the coveted goal of every competing equestrian. How Britt feels about Saint Louie and his important role in their partnership and the need for him to enjoy competing sends out a positive message to every horse sports enthusiast. Louie and Britt enjoying the California sunshine.